Valentine’s day has come and gone. Hopefully you resisted over indulgence, but it your weekend was full of chocolates and splurge meals this is the perfect back on track smoothie. Remember clean eating doesn’t mean perfect, it is a lifestyle you build over time. So don’t beat yourself up… pull out your blender and pack up your Mason Jar Salads and get back on track. Directions: Place all of the ingredients in a blender and blend until smooth. 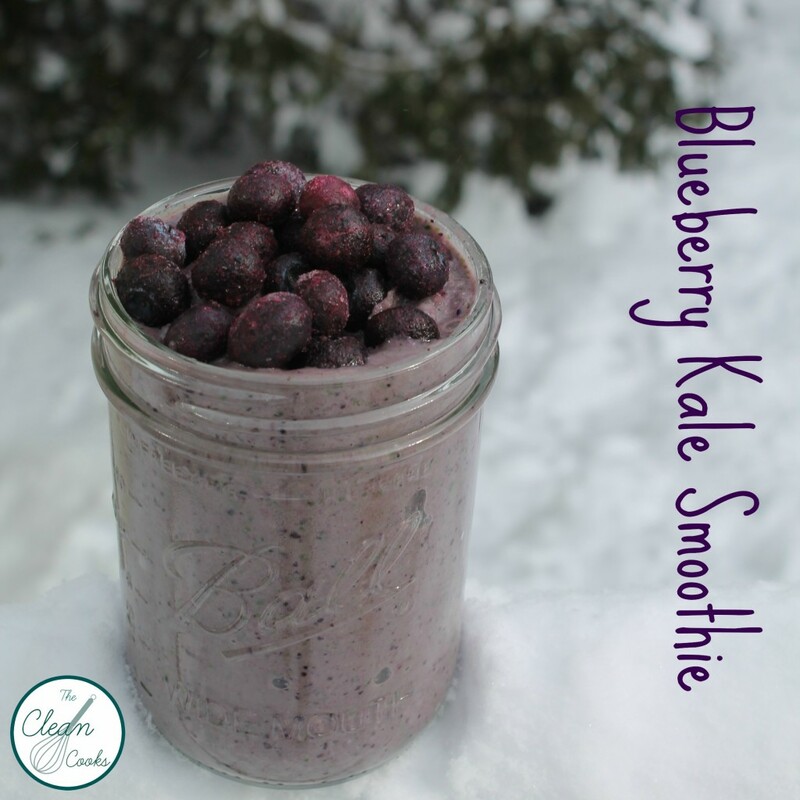 1/2 cup frozen blueberries, 1/2 cup frozen pineapple, 1/2 kale, 1/2 cup plain greek yogurt, 3/4 cup unsweetened coconut milk, 4 ice cubes, 1 teaspoon Truvia (optional), 1 teaspoon green powder of choice (optional.) I use Vitamineral Green. Clean Cooking Tip: I purchase fruit during season from local farmers if I am able and freeze them in cleaned appropriate sized portions. For example Pineapple when I purchased the pineapple for this smoothie I cut it up and placed it in snack sized zip up bags, so when I was ready I just pop it straight into my blender.